The lazy days of summer may be at their peak, but before you know it, you'll be back to packing lunches and kids will be filling up their backpacks for the new school year. While kids have had a full summer's worth of fun in the sun, now it's time to wake up their brains and prep them for a fun year of learning! It's time for kids to take a seat and learn! 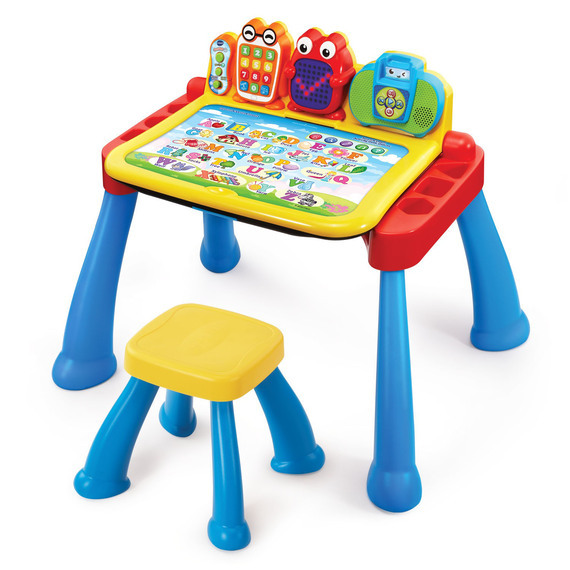 Kids can play on this interactive desk and engage with educational content, including letters, numbers, colors, and more. Kids will also lean how to write letters and numbers and draw basic shapes from copying the illustrations on the LED display. Toddlers can play with the toy telephone or listen to music on the music players. The desk uses interactive activity cards that focus on specific curriculum, such as reading, animals, and numbers. Best of all, it transforms to a chalkboard and easel with storage space, perfect for creative play. 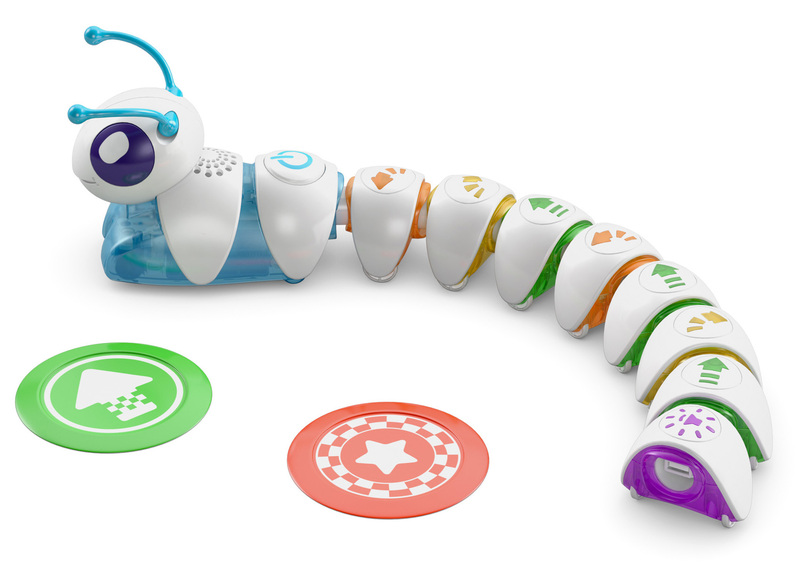 Hands-down the first bug parents will actually want in the house, this toy will turn tiny tots into programmers. This caterpillar is made up of different segments, each with its own color, symbol, and USB plug. Each segment represents one action, and will make Code-a-Pillar move forward, left, right, or even pause before moving again. With the press of a button, the caterpillar will move and interact with kids in the order kids place the action segments, teaching them the basic premise of sequencing. Kids can also code the caterpillar to reach the two included targets they set up throughout the room. Science has never been this fabulous! Kids will help Barbie and her friend Nikki prepare for the Annual Animal Shelter Gala as they learn about important STEM skills such as biology, chemistry, physics engineering, and design. 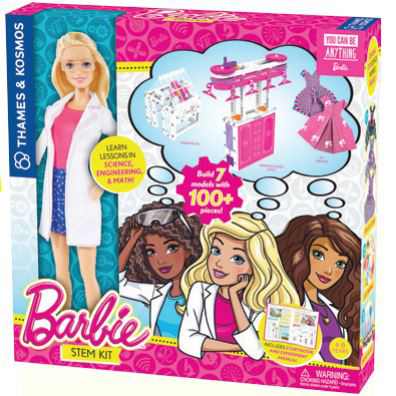 They will follow a full storybook manual to guide them through seven building projects and more than 10 experiments to build Barbie Dreamhouse-compatible models and accessories, create different dresses for Barbie, and solve challenges. Each kit also comes with a Barbie doll. Ready? Set. Blast! 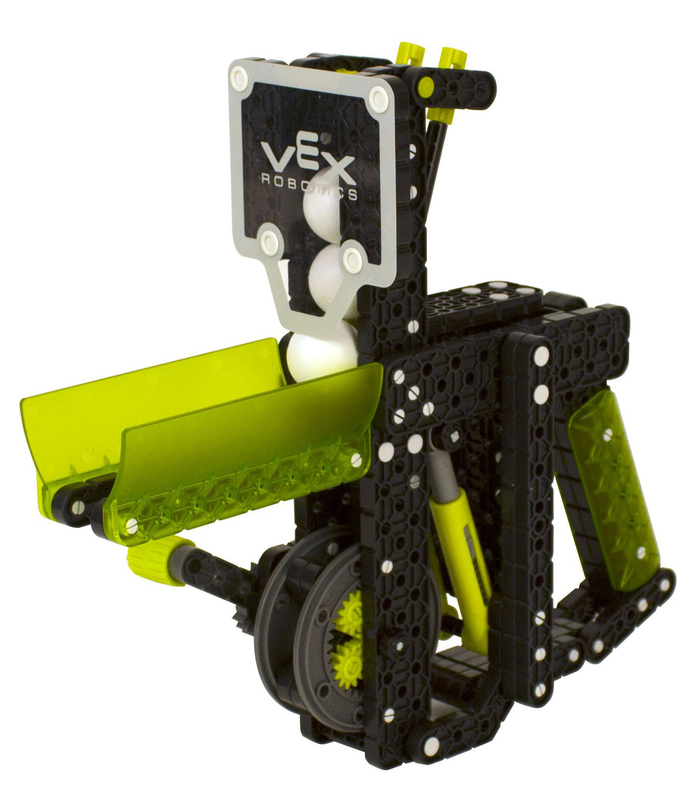 This STEM-based construction kit will teach kids the science behind basic robotics. Kids will become familiar with pieces such as planetary gears and shock absorber style springs, learning about simple gear ratios and spring energy. Kids will get to build their own blaster powered by a hand crank, but best of all, they'll learn exactly how it works. But, watch out--this thing has some seriously awesome range!